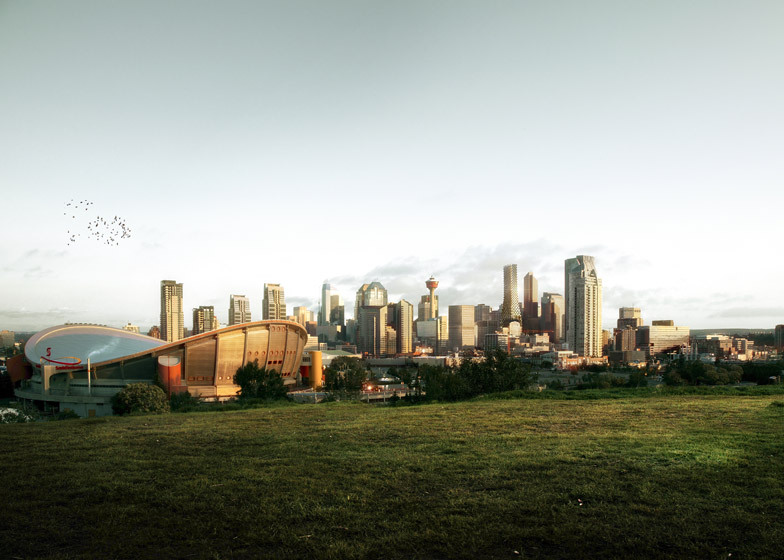 News: construction is now underway on the 66-storey Telus Sky Tower designed by Bjarke Ingel's firm for Calgary, Canada (+ slideshow). 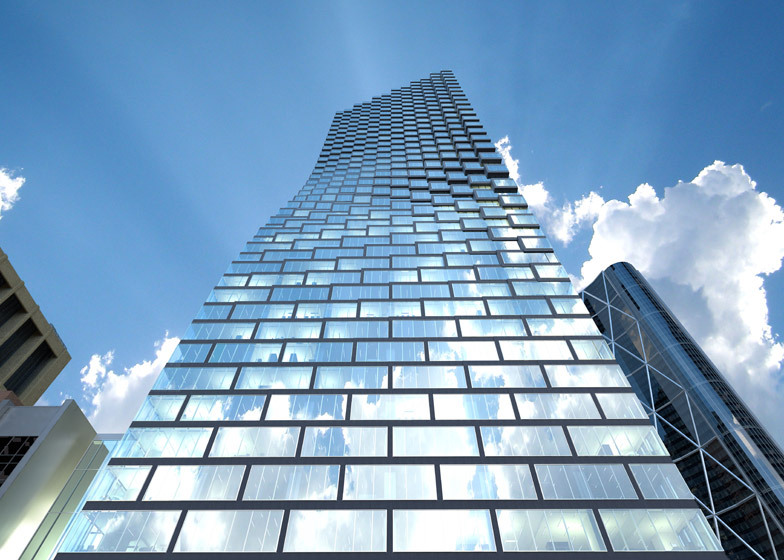 The 70,000-square-metre skyscraper, which was first unveiled by BIG in 2013, broke ground last week on 7th Avenue. 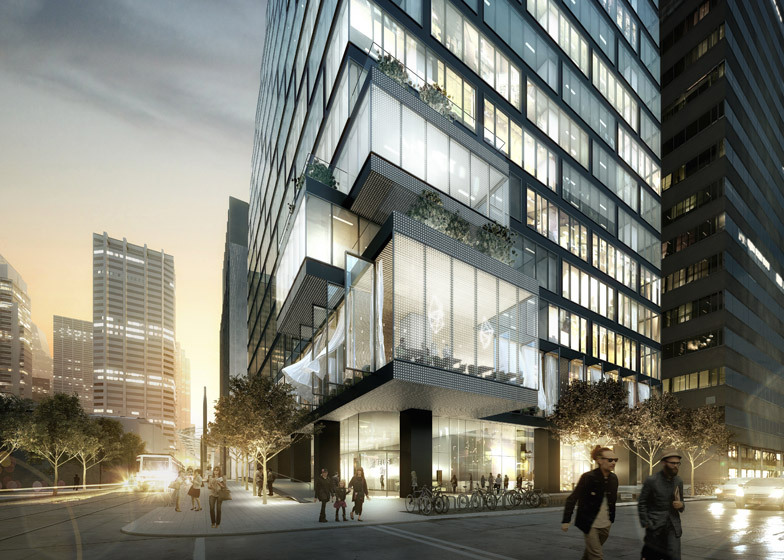 It will be located next door to The Bow – the 237-metre office block by Foster + Partners that is currently the city's tallest building. 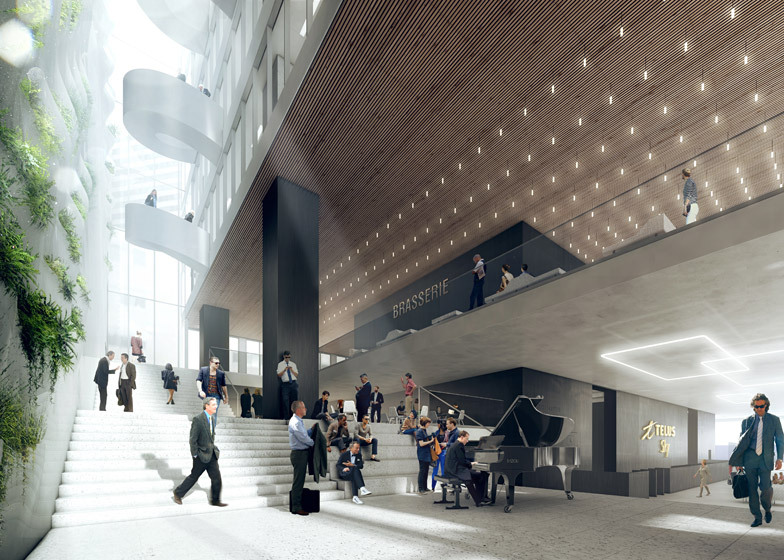 The lower levels of the high-rise will contain offices, including the headquarters of telecommunications company Telus, while the upper floors will accommodate 320 serviced residences. 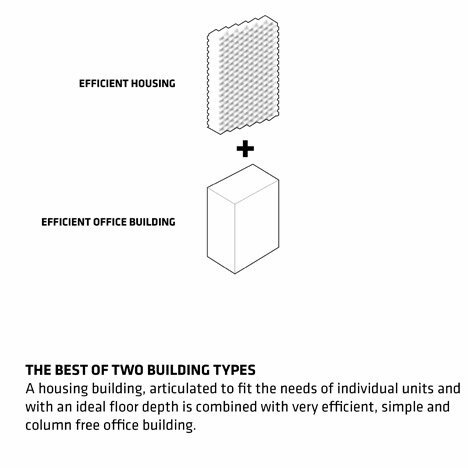 According to BIG, the building's curvaceous form is a response to these two uses. 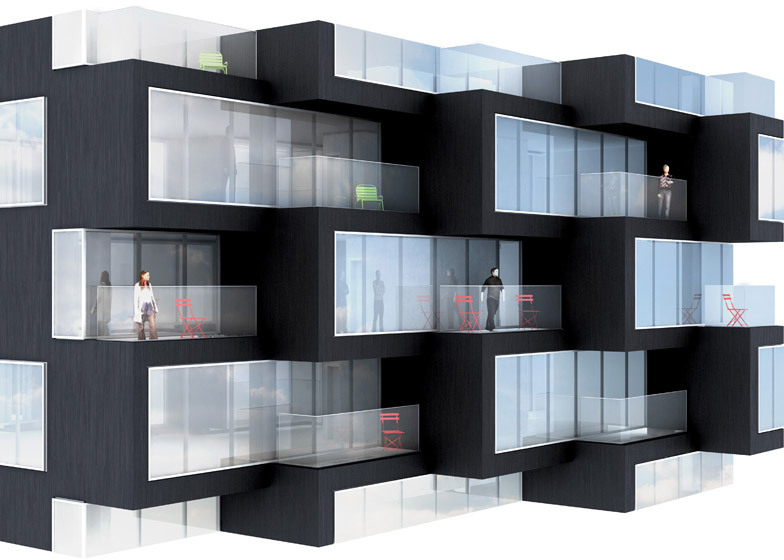 It "evolves from a smooth glass facade enclosing the work space to a three-dimensional composition of apartments and balconies," according to the firm. 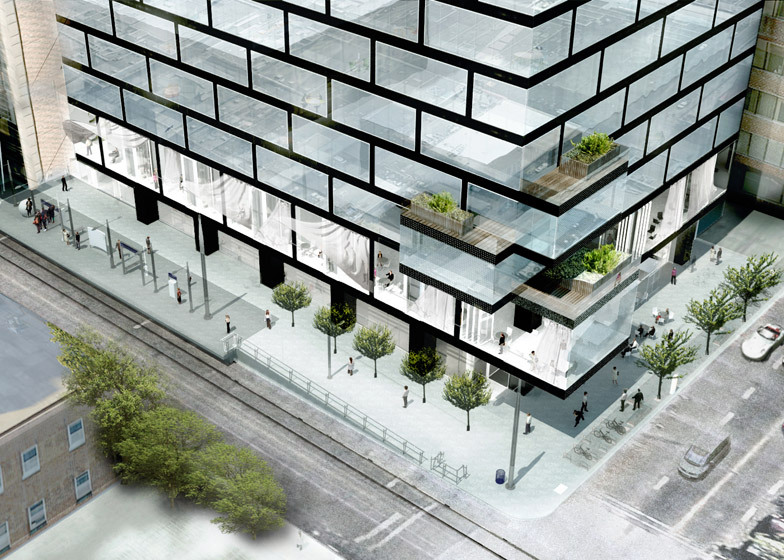 "When you look at the urban fabric of any city, each and every time you make a new building you have the opportunity but also the responsibility to create the city that you would like to live and work in, and this is exactly what we've tried to do with Telus Sky," says studio founder Bjarke Ingels in a movie about the project. "You know corporate downtowns tend to be populated by these almost like containers of corporate offices stacked on top of each other without much soul or character," he continues. 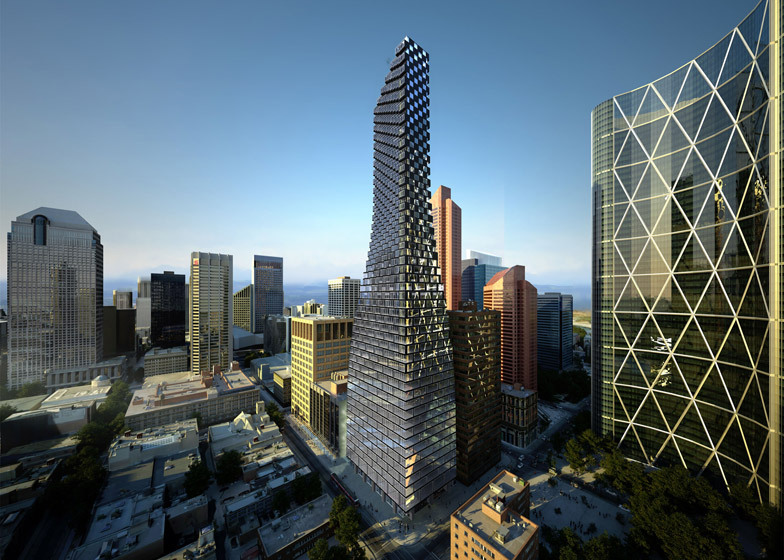 "With Telus Sky, the building expresses how it is different – that it is actually a combination of spaces for working and for living that give the architecture its unique sculptural shape and the sort of vertical elegance, the slenderness on the skyline." BIG is collaborating with local architecture studio Dialog to deliver the building, which replaces the demolished Art Central building. 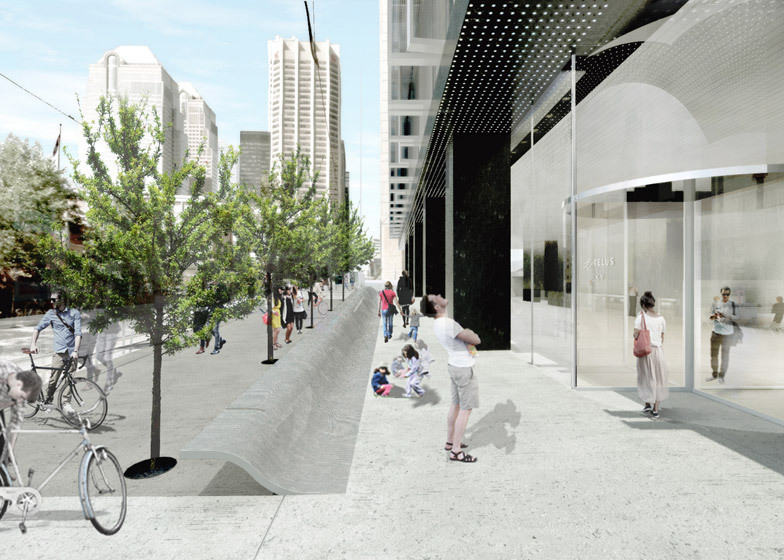 It will include a 500-square-metre gallery dedicated to local artists, as well as some ground-floor retail and is scheduled to complete in late 2017. The structure was commissioned by property developers Westbank. Telus Sky Tower is one 60 projects included in BIG's current exhibition at the National Building Museum in Washington DC. 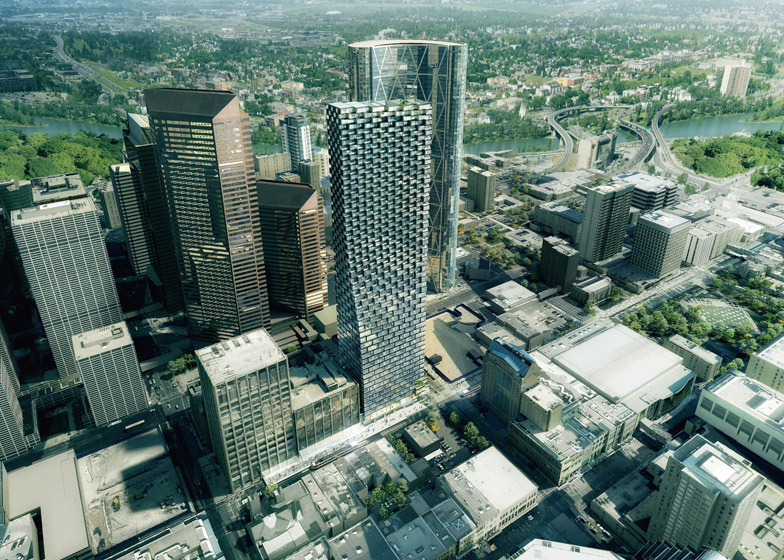 The firm has also designed a 150-metre-high skyscraper for downtown Vancouver.